To celebrate National Poetry Month, we're featuring the work of poets both familiar and obscure. Today's featured poet is Howard Nemerov! Born in 1920 in New York City, Nemerov showed an early fascination with the arts. He earned a bachelor's degree from Harvard in 1941 and joined the U.S. Air Force during WWII. After the war, he returned to New York with his wife and began what was to become a lifelong career teaching career. His first students were veterans studying literature at Hamilton College, and Nemerov went on to teach at several other colleges and universities before settling at Washington University in St. Louis, where he remained for nearly 30 years. Nemerov was known for both his poetry and his fiction, a dichotomy which seemed to represent an integral aspect of his personality. Many of his works, including his first collection of poetry, The Image and the Law, feature this kind of duality and opposition. His writing is deeply thought provoking and subject to many layers of interpretation, which left some critics as divergent in their opinions of his work as the contrasting imagery of the poems themselves. While some called his writing "derivative" and "tired," others praised his ability to find wonder in the simplest of things. Despite the critics' disputes, Nemerov's work was both popular and award-winning during his lifetime. He won both a Pulitzer Prize and the National Book Award in 1978, and was the U. S. Poet Laureate from 1988 until 1990. 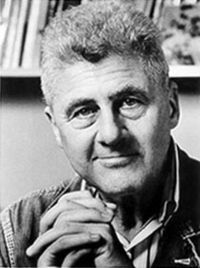 Howard Nemerov died of cancer in 1991. He was 71.